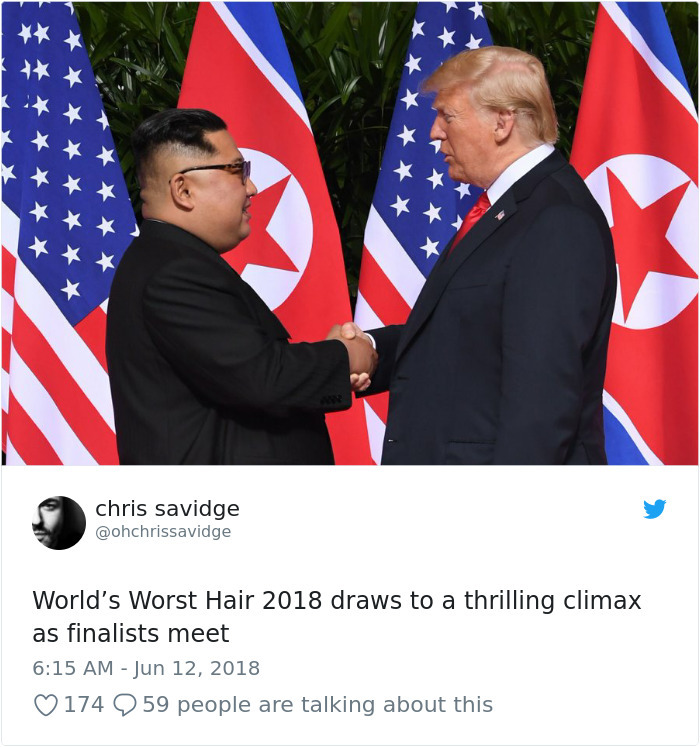 The much awaited International Political meet between Kim Jong Un and US President Trump has taken a hilarious turn. The trollers didn't wait too long to respond the meet with some of the funniest memes. Check 10 funniest memes on this High profile meet. This couldn’t be a better example of how no meet can escape the meme. Hope, Trump, and Kim might share a piece of a laugh together on watching this. Ready for some real workout? Oh yeah! We have had selected our favorites! 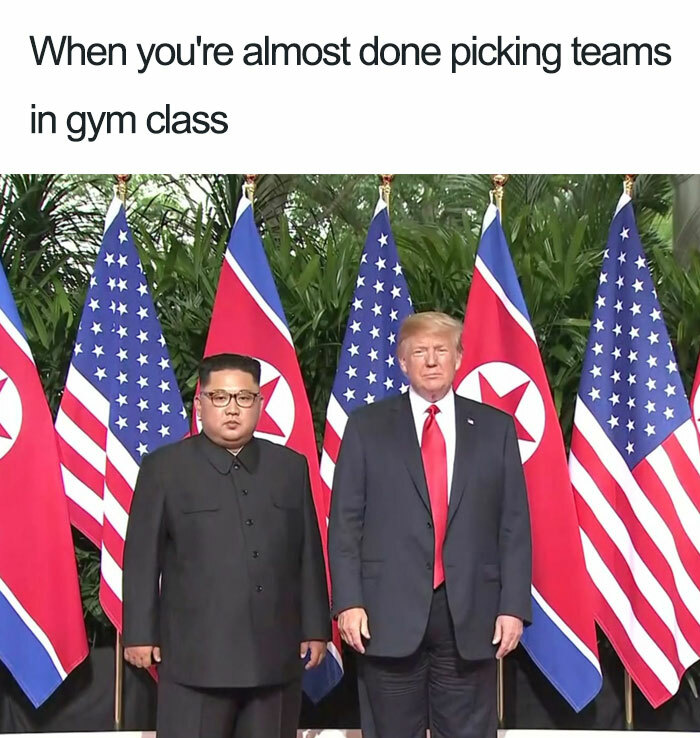 So, better pick up weights and solve the disputes! World’s worst! oops! best hairstyles! Two finalists! Hope the Nuclear doesn’t make its way out in reference to the final! You love a burger, I guess! Yeah!! We are best friends now. That’s the only best possible way it could be pictured! 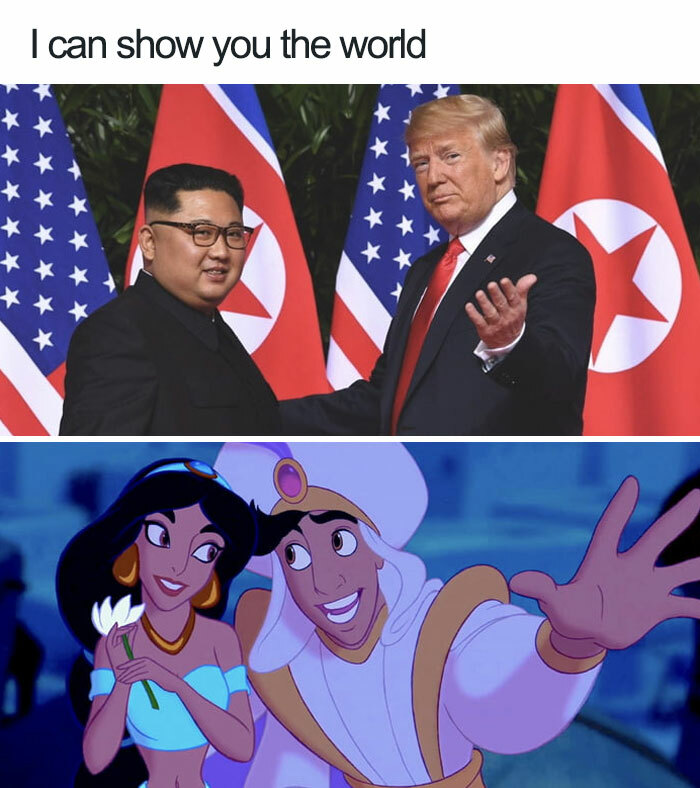 You meant a world to me, and you warn me through a Nuclear way! Not fair!! See, how burger makes difference! 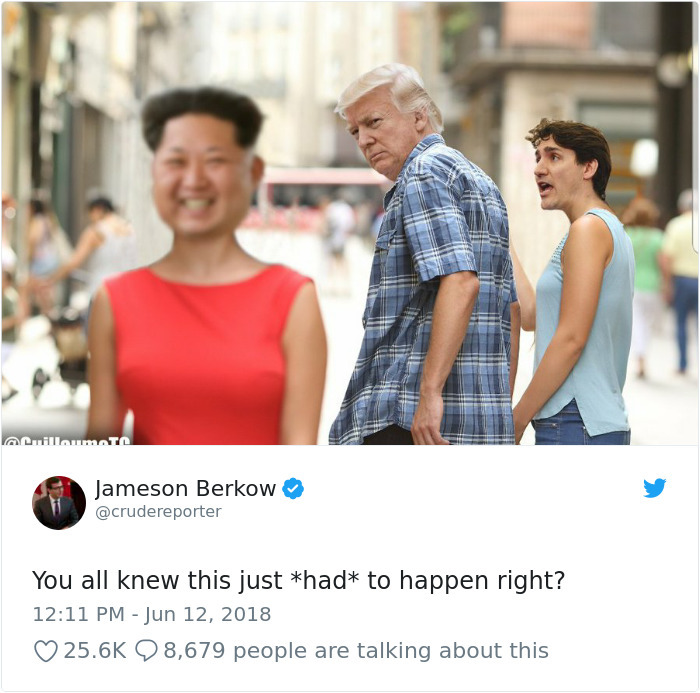 Still worried about Nuclear war? 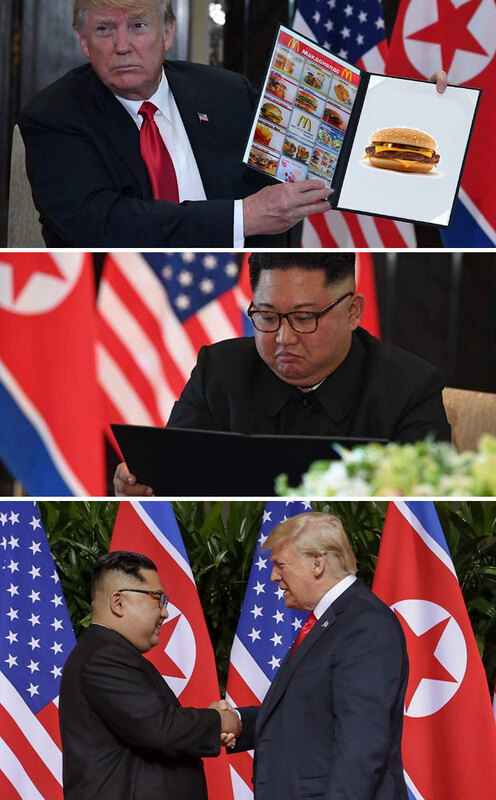 Start gifting him franchises of Mc Donald’s, and there will be a possibility of Denuclearization. Hey!! Don’t you stare there! I know that happens, but you might fall off your chair and laugh! Epic edits!! 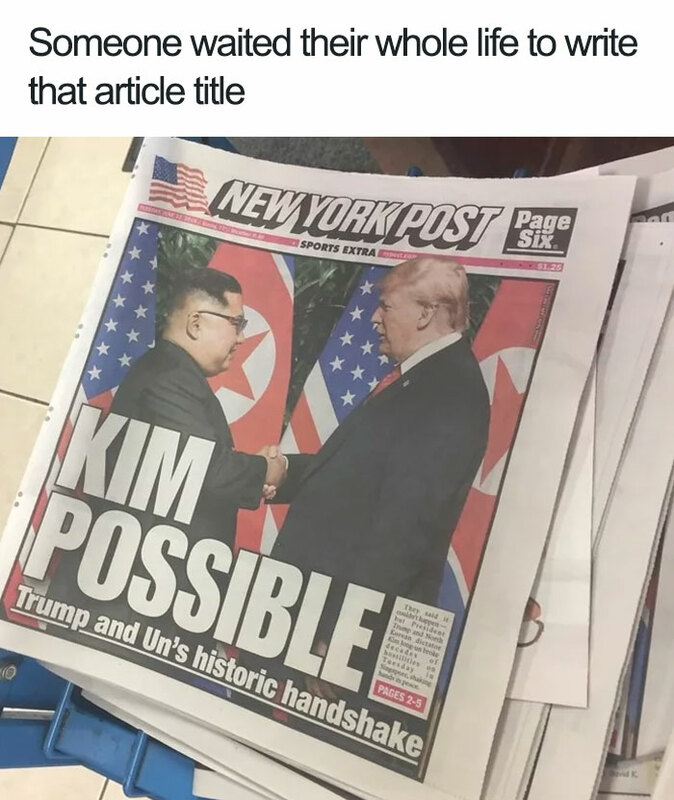 Two leaders met, and a thousand lives in danger! So, brace yourself Nuclear might come soon in reference to the further meet! Epic Edits! Ever, wondered if this high profile could meet this fate. Dictators!! Oops! 90days Fiance Stars, Paul And Karine Reveals The Baby Gender!